Mynn and Mark Paige considered their family camping trips among their fondest memories. In the summer of 2009, the couple and their two sons, aged 11 and 14, packed their passion for the great outdoors into their 32-foot camper and embarked on a five week vacation that took them from their home outside of Raleigh, NC, to America’s Pacific Northwest. Several weeks into their trip, Mark made a courageous decision. He finally shared with his children the news that he and their mother had struggled with for months, but realized they could no longer hide. 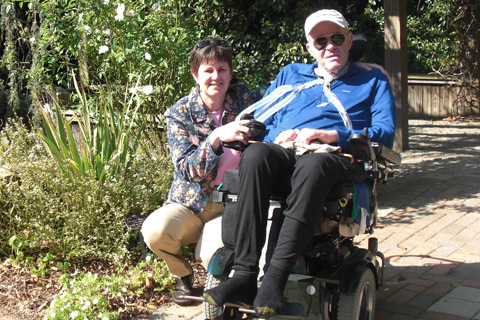 At age 54, Mark had been diagnosed with amyotrophic lateral sclerosis (ALS). Also known as Lou Gehrig’s disease, ALS is a progressive neurodegenerative disease that affects nerve cells in the brain and the spinal cord. 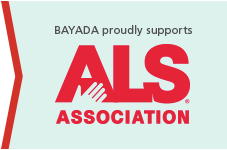 According to the ALS Association, this loss may lead to paralysis of all muscles under voluntary control, including those for the face, mouth, arms, legs, back, as well as the muscles for breathing. There is no known cause of the disease, and each case may progress at a different rate. Several months later, Mark developed difficulty swallowing. Misdiagnosed with acid reflux disease, the prescribed medication did nothing to rectify the worsening symptoms. By April, Mark had grown considerably weak, and experienced involuntary movements in his left foot. After a neurologist performed a series of tests, Mark and Mynn found themselves at the Duke University ALS Clinic, where the couple received the shocking diagnosis. After a neurologist performed a series of tests, Mark and Mynn found themselves at the Duke University ALS Clinic, where the couple received the shocking diagnosis. As the family struggled to adapt to their new reality, Mark continued to work as a chemical engineer. In the summer of 2010, Mark enjoyed one last camping trip with his wife and sons. The family travelled over 10,000 miles during those precious two months, relishing in the beauty of their time together. By the end of the summer, the ALS symptoms made going into work a major challenge for Mark. However, with his trademark positive attitude, he continued to work for several months longer from home. When Mark became unable to speak, he communicated by pointing to letters on a board. He also lost the ability to breathe on his own, requiring the use of a tube inserted through an incision in the trachea to provide an airway, used in tandem with a ventilator which moves the air into and out of the lungs. 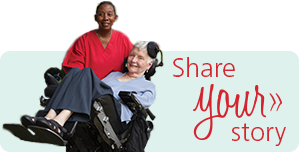 BAYADA Clinical Manager Sabrina Ragland, RN, provided clinical supervision for all aspects of Mark’s care. A group of nurses she described as Mark’s “dream team” cared for him at home 24 hours a day, seven days a week, since June 2011. Mark also benefitted from a BAYADA Home Health Aide, who came for three hours a day to help with bathing and grooming. “The nurses were very respectful of our privacy, and understood my need to sometimes take a break,” says Mynn. Mynn sewed quilts and even spent a week vacationing in the mountains with her sons, comforted by the knowledge that her husband could remain safe at home and in excellent hands with BAYADA. “I am so appreciative of Sabrina, who went above and beyond to make sure there were back up plans in place so that I could have some time for myself,” she said. While Mark’s medical needs were always top priority, Sabrina and the nursing team drew on their compassion to help the entire family cope with the wide range of emotions that accompany an ALS diagnosis. They spent countless hours talking, laughing, and even shedding tears with Mark, Mynn, and their sons.